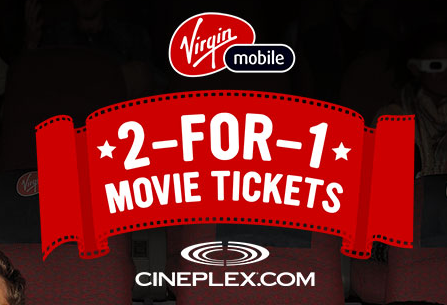 Virgin Mobile has brought back their 2 for 1 Cineplex movie offer due to ‘popular demand’. Essentially you fill out an online form to receive a promo code via text message. The offer works for movies Sunday to Thursday and there’s a limit of one code per member every two weeks. 6. Have a great time at the movie! Unless it’s something sad, in which case have a sad time at the movie!